3rdHand is a carrying device for kids over 1year of age – and the device fits in your pocket. It is manufactured in military and aviation materials. The design is patented. Recently we have added a very slick bag hanger/bottle opener device to the product range. 3rdHand is a share holding company and the products are marketed in Scandinavia by Spacebabies. 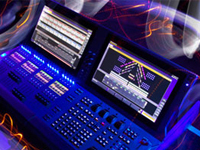 Lighting control systems are fairly advanced computing systems with dedicated hardware controls for controlling conventional lights, moving lights and media servers in the entertainment industry. Since 1986 I have been involved in the development the Avab 202, 201, 211, Expert, Mini Expert, Viking 2, VLC and Pronto – up to Congo, SmartFade and currently Cobalt, by ETC. Cobalt is large lighting control system designed with speed of use and flexibility in mind – allowing more creative programming in less time. The system is manufactured and marketed worldwide by ETC based in Madison USA. One of the key factors in health monitoring is nutrition. 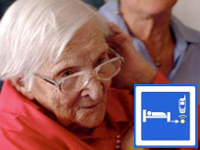 Keeping an eye on weight development over time for senior citizens being cared for in their homes can be a challenge. Other related challenges are if a caretaker gets out of bed at night, slips and does not return within an hour or how much time is spent in bed per day, and if this time is spent without movement, creating a risk for bed sores. All of these issues are addressed by eMON – a health monitoring system in it’s last design phase with the first systems being delivered this year by Andersson & Co. Ever tried using a help system and become frustrated? The Help system for the Congo lighting console generates online searchable help that is context sensitive and allows you to store favorites as you would fold the corners in a paper manual and make notes in it. It is also the base of the printed manual. 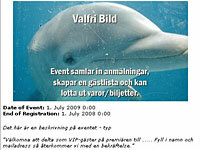 Vikarie is a web-based booking system for finding replacement personel fast with a text-message booking system. Event.redmaker.se is an online tool for administrating newsletters and guestlists for events, with an integrated lotery calculator.